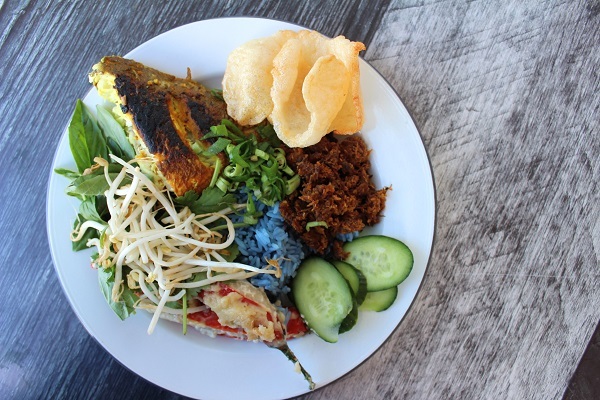 If you follow my free cooking classes on my Live Asian Kitchen, you will know I recently did a 2-part Nasi Kerabu broadcast here in Sydney. The recipes in this series are based around these later videos, and have been tweaked to accommodate our accessibility to Asian ingredients (or lack thereof) here in Australia. 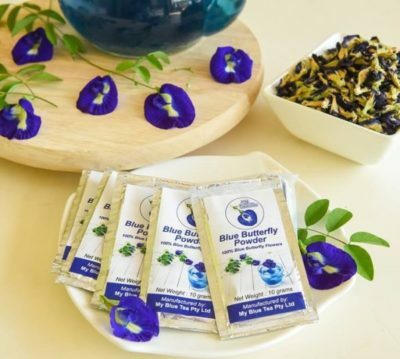 Cook rice as per normal (simmer method; I use the rice cooker function on my Optimum PressureCook), but with blue flower powder mixed in. Hard-boil the salted duck eggs. Allow to cool, then cut in half without peeling the shell. Toss together the snake beans, cucumber, ginger flower bud (if using) and herbs. 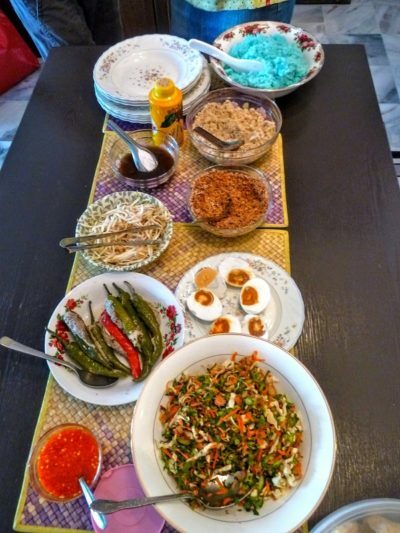 Serve the duck eggs, salad, desiccated coconut, chilli sauce, raw beansprouts and budu (fish sauce) as sides to go with the blue rice.